#JUSTINWINE TAKE CARE OF PRECIOUS BOTTLES BY WINE BRUT! 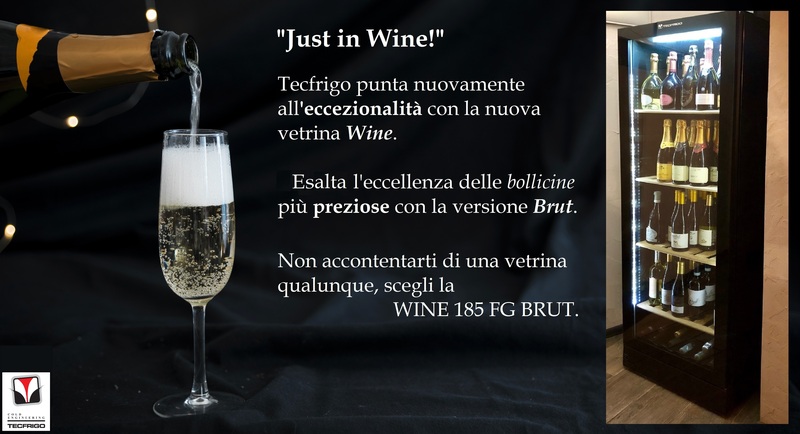 We are pleased to inform you that our wide range of displays for wine has been expanded with the addition of new WINE 185 FG BRUT, dedicated in particular to sparkling and white wines. The modern and essential design, the ‘Full Glass’ door, the 3 rows of LEDs and the extractable wooden shelves , make Wine 185 FG Brut the ideal showcase to enhance and display the finest bottles in the best possible way.